Do you want to start a business in small town? If yes, here are 40 small town business ideas with low investments. When you start a business you need to consider multiple factors. The major factors of consideration are capital investment, types of business and location (town or city) . Out of these location plays a vital role in the selection of business. As size and population of city is decide the level of competitions you are likely to face in your business. Starting small grocery store in small town is old but every green business idea. This business does not require special skills. You can start this business with low investment. Opening Mobile phone store is another small town business idea. The mobile phone user count is growing every day and many people even change their mobile phone every six months or year. Ice cream parlor is next small town business idea. Especially in summer season or in marriage season this business brings a lot of money. Students and book lover always look for books. This makes a point to start book store. It is an evergreen business because we never see the recession in education. Children often look for a play area or game station. You can open your own game parlor what you need is game station Xbox. Starting dairy is old but yet effective business idea. What you need to take care is there is no milk parlor or dairy in your area. The Sweet parlor is another business. People often look for sweet in the festival or on occasions. You can serve their need by opening sweet parlor. Recruitment Service is another small town business idea. You can start your own firm of providing Recruitment services to the company. You just need good data of candidates looking for Job. Just refer a candidate to the company and get money out of it. In small city giving a party is culture. If you are living and metro city and planning to start a business, providing planning service for the party is a good business idea. Many Small and Medium Enterprise do not have a video conference or boardroom facility. If you have space, capital, and expertise to make board room or video conference facility you can plan to make money out of it. Buying a car today is the dream of many middle-class people but very few can pursue it. This may be due to lack of money. Many of them opt for a used car. You can start a business by taking dealership of used car and working on commission basis. Opening mobile garage by keeping mobile manpower/repairer is a good business idea because the majority of time car breakdown take place in the area where garage service is not available. You just need good mechanics and motorcycle to start this business. Driving School is evergreen business as we see the number of the car is increasing day by day, more and more people wants to learn how to drive a car. In order to start this business, you need a couple of cars and a good driver who can teach car driving. Today every parent look for holistic development of their children & they are ready to pay for it. This gives birth to a very good business idea called as hobby class. You can start hobby class for dance, music, craft based on the skill you possess. Many people today peruse sport as career & parents even want their children to participate in extracurricular activity. If you are professional in any sport you can start acting as a professional sports coach. If you are very good at a dance you can think of starting dance class which is a very good business option. Many parents look for the good dance class for their children’s. Today in the small city we find a lot of working woman & they often find difficult to manage work with kids. If you start a business of baby keeping in the metro city you will surely see success. Courier service is one of the oldest business. Many people today look for better shipping costs and timely delivery if you can manage it this business is for you. Serving healthy and tasty food is very good idea & that is also in a form of mobile service. You can think of starting mobile food service. In this business, you don’t require huge capital but yes you must serve healthy and tasty food. Carpooling means sharing a single car for going to the same destination for splitting the fuel costs, thus saving money individually. While office-goers and school children both do this informally, there is a need for this to be done formally as well. You can start a service by identifying potential customers, linking them up and charging a fee on facilitation of such a service. Rainwater harvesting means storing rainwater in storage for future usage. In certain cities, it is mandatory to store rain water. People often look for help to understand about rainwater harvesting. You can start your own rainwater harvesting consultancy business. The opening of the boutique is an evergreen business idea. What you need is good commercial location & range of product as per current market taste. If you love an animal this business is for you. What you need is rich people owning a pet but unable to take care of it. You can start charging them for taking care of a pet. Believe me, in the urban area this could be a very good business model. This is old but evergreen business idea. This business requires special skill and creativity & convincing power. Providing Gardening service seems to be the odd idea, but many companies today is looking for good gardening services for up keeping a space. The business is booming in concurrence with the business of real estate. This is a small business idea where you just need the skill to repair a household appliance. You may keep repairman mobile to provide services at different places. Good marketing is required to grow this business. Security need of everyone today. Starting security agency is indeed the good business idea. What you need is good security manpower ex-army or trained. Today more and more people are adopting western culture, this gives birth to the requirement of spy or detective. Mostly all individual and company take services of detective today. Disk jockey service is part-time innovative business idea. People look for DJ on multiple occasions. If you are very good at the music you can rock this business. Marriages are made in heaven but have to be found on earth. Keeping this thought in mind our next business idea is to provide matchmaker service. This business is an ideal business for the housewife. Many people look for a good house for living. They either purchase it or take it on rent in both cases they require an advisor or real estate agent. Not every business can afford a human resources department. Not everyone can afford a big recruitment firm either. There is a gap here that can be exploited, especially by human resources professionals, to start building their own recruiting firm. Further on, you can also actively manage these firms’ HR processes for them, all the time putting yourself to be one of those big firms as well. Starting travel agency is a very good business idea. People today wants to relax and enjoy vacation freely. They don’t want to worry about the ticket, hotel booking, and stuff. They are ready to pay huge money for tour agency for this. If you are very good at teaching you can think of starting small tuition class. This is an evergreen idea because today parents are ready to spend money for education. Health is wealth and many people believe in that they take very good care of them. For a daily workout, they prefer to go to gym or health club. Starting health club in a cream area will always make you successful. Another idea related to food is a cooking class. If you are a housewife and very good at cooking you can start your own cooking class. 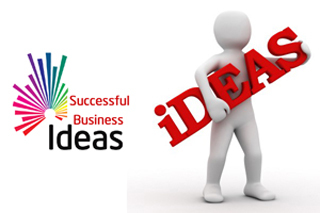 Which business idea you will adopt from above and why? Do post your comments.